Saturday was a big day for superstar fans. A making of video feature released with behind-the-scenes action from the sets of the much awaited 2.0 has piqued our interest in the film. Tamil filmmaker Shankar’s 2.0 starring Rajinikanth, Akshay Kumar and Amy Jackson is a big budget entertainer scheduled to release early next year. The film with a reported budget of over Rs 400 crore is being shot in 3D. According to reports, 2.0 audio launch will take place in Dubai on October 27. The report further states the makers have spent a lavish amount of Rs 15 crore for the grand audio launch and several eminent personalities are expected to grace the event. Going by a tweet posted by Ramesh Bala, an industry insider, three private jets have been booked for the guests to fly them to Dubai from Mumbai and Chennai. "@LycaProductions has booked 3 Charted air-crafts for Transportation between Chennai/Mumbai and Dubai for #2Point0AudioLaunchInDubai Oct 27/ [sic]" he wrote on Twitter. 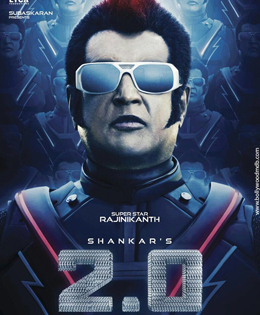 The audio for Enthiran 2 is composed by two-time Oscar Award winner AR Rahman. 2.0 will mark the Kollywood debut of Bollywood star Akshay Kumar, who by the looks of it is playing an alien in the film. The project also has Amy Jackson on board. The project is, reportedly, made at a cost of Rs 400 crores, making it one of Asia’s costliest ventures. 2.0 is also being filmed using 3D cameras directly to ensure that the film provides a grand visual experience. What 2.0 aspires to do is try to inspire more creators to engage with the medium, said Shankar in the making video released by the makers.